The Center for the Advancement of STEM Education at Bridgewater State University is offering a hands-on science Summer Science Academy focused on biotechnology, environmental biology and physics for middle school students entering grades 6-9. The program allows students to work as scientists and is designed to provide the foundations necessary for further scientific exploration. Students conduct investigations in their selected class and participate in extracurricular activities. Sessions still available include: “Whale of a Mystery,” July 7-11; “x-STREAM Adventures” or the new “Forensics Institute of Bridgewater,” July 14-18; “Up in the Air: The Physics of Flight,” July 21-25. A fee of $400 for each session covers all course expenses including lab supplies and materials (lunch or transportation are not included). A limited number of need-based scholarships are available. Deadline for registration is May 31. In “Whale of a Mystery,” students will test tissue samples sent from a field agent to determine if they are of illegally hunted, endangered whale species. “x-STREAM Adventures” is about discovering how land use impacts the physical, biological and chemical composition of a local New England river. Students, as new employees at the “Forensics Institute of Bridgewater” (FIB), receive training on crime scene investigations. “Up in the Air: The Physics of Flight” answers questions related to the physics of flight. 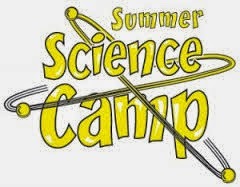 For more information and to register visit http://microsites.bridgew.edu/case/summer-science-programs or contact Maura Whittemore at mwhittemore@bridgew.edu or 508.531.2575.